Gordon Brothers Group, a global advisory, restructuring and investment firm specializing in the industrial, consumer products and retail sectors, announced that it will begin the immediate disposition of assets formerly owned by M Space following the firm’s bankruptcy filing in late-May. 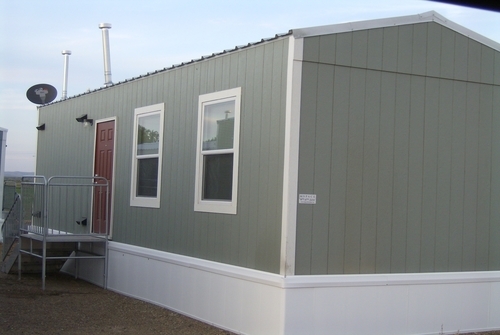 M Space, headquartered in Park City, Utah, is a modular building firm specializing in permanent and temporary prefabricated building types ranging from small temporary buildings to large multi-story complexes. The assets available for purchase include over 2,400 floors of custom built modular buildings and complexes. These items have applications in construction, education, government, laboratory/research and public safety. In addition, there are a number of buildings currently under lease that can be assumed by the buyer. “We expect this to be a short sale since we have already received strong responses from interested buyers,” stated Robert Maroney, President of the Commercial & Industrial Division of Gordon Brothers Group. “These units have been well maintained and are used in a variety of sectors. We look forward to making them available to buyers from a multitude of industries,” he added. The drop in oil and gas prices and slower production mainly in North Dakota where M Space provided permanent and temporary housing for oil workers is one of the main reasons the company filed bankruptcy. The company has communities of manufactured houses that new arrivals could rent completely furnished right down to the pots and pans and linen.